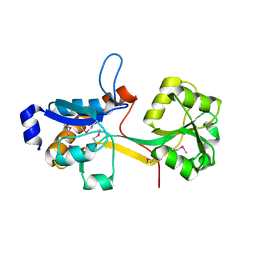 SOLUTION STRUCTURE OF THE STAPHYLOCOCCUS EPIDERMIDIS PROTEIN SE0630. 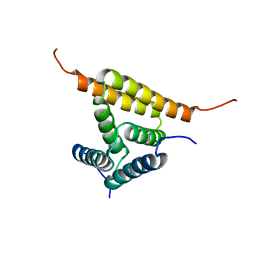 NORTHEST STRUCTURAL GENOMICS CONSORTIUM TARGET SER8. Cite: Solution Structure Of The Staphylococcus Epidermidis Protein SE0630. Northest Strucutral Genomics Consortium Target SeR8. 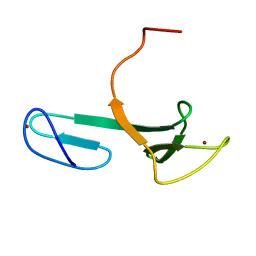 THREE-DIMENSIONAL STRUCTURE OF THE HYPOTHETICAL PROTEIN FROM SALMONELLA CHOLERAE-SUIS (AKA SALMONELLA ENTERICA) AT THE RESOLUTION 1.55 A. 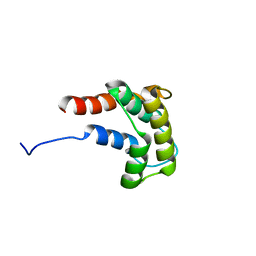 NORTHEAST STRUCTURAL GENOMICS TARGET SCR59. 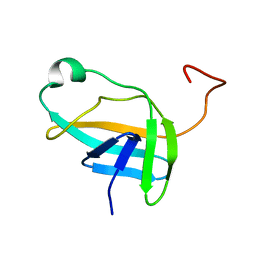 Cite: Three-dimensional structure of the hypothetical protein from Salmonella cholerae-suis (aka Salmonella enterica) at the resolution 1.55 A. 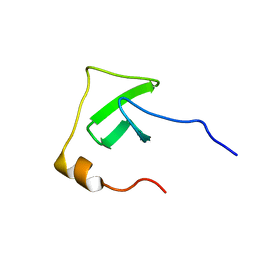 Northeast Structural Genomics target ScR59. 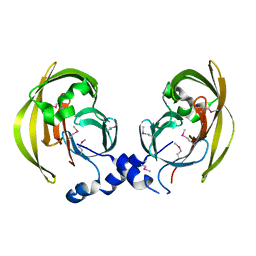 X-RAY CRYSTAL STRUCTURE OF PROTEIN BH3568 FROM BACILLUS HALODURANS. 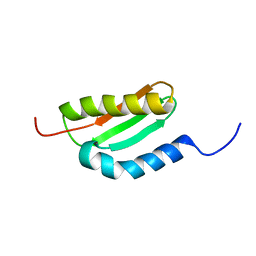 NORTHEAST STRUCTURAL GENOMICS CONSORTIUM BHR60. 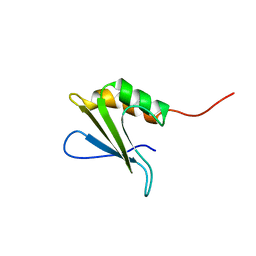 Cite: X-Ray structure of the hypothetical UPF0052 protein BH3568 from Bacillus halodurans. 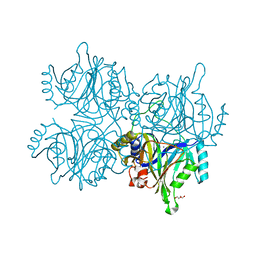 Northeast Structural Genomics Consortium BhR60. 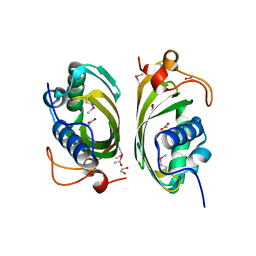 CRYSTAL STRUCTURE OF YCKB_BACSU FROM BACILLUS SUBTILIS. 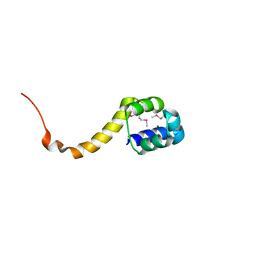 NORTHEAST STRUCTURAL GENOMICS CONSORTIUM TARGET SR574. 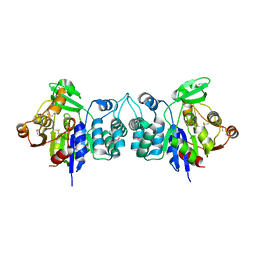 Cite: Crystal structure of probable ABC transporter extracellular-binding protein yckB from Bacillus subtilis. 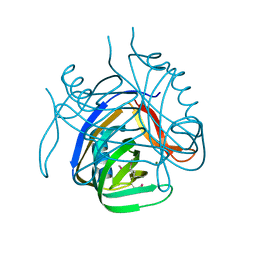 X-RAY CRYSTAL STRUCTURE OF PROTEIN YPPE FROM BACILLUS SUBTILIS. 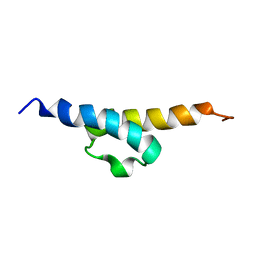 NORTHEAST STRUCTURAL GENOMICS CONSORTIUM TARGET SR213. 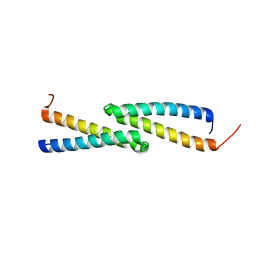 Cite: X-Ray structure of hypothetical protein yPPE. 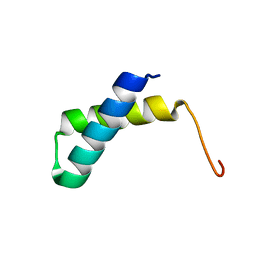 Northeast Structural Genomics Consortium target SR213. 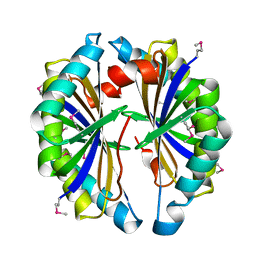 X-RAY CRYSTAL STRUCTURE OF PROTEIN PFL_3262 FROM PSEUDOMONAS FLUORESCENS. 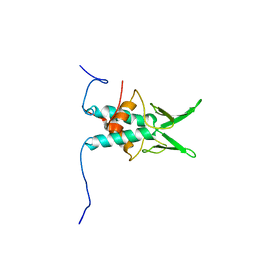 NORTHEAST STRUCTURAL GENOMICS CONSORTIUM TARGET PLR14. 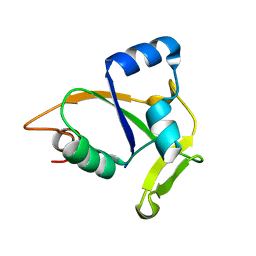 Cite: Crystal Structure of the hypothetical protein (DUF1348) from Pseudomonas fluorescens, Northeast Structural Genomics target PlR14. 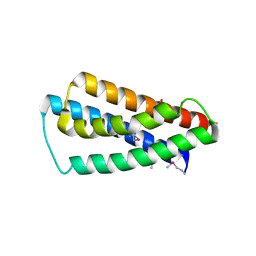 CRYSTAL STRUCTURE OF THE HYPOTHETICAL LIPOPROTEIN YMCC FROM ESCHERICHIA COLI (K12), NORTHEAST STRUCTURAL GENOMICS TARGET ER552. 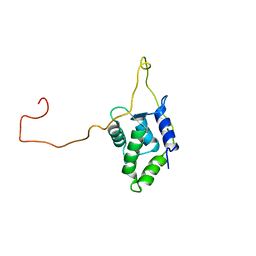 Cite: Crystal Structure of the hypothetical lipoprotein YmcC from Escherichia coli (K12), Northeast Structural Genomics target ER552. 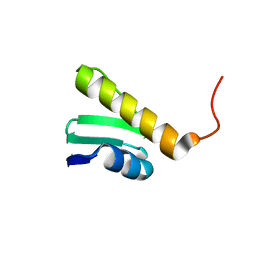 SOLUTION NMR STRUCTURE OF TUBULIN POLYMERIZATION-PROMOTING PROTEIN FAMILY MEMBER 3 FROM HOMO SAPIENS. 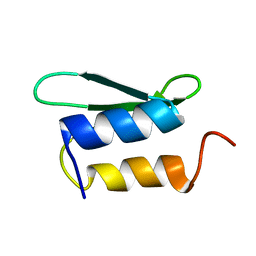 NORTHEAST STRUCTURAL GENOMICS TARGET HR387. 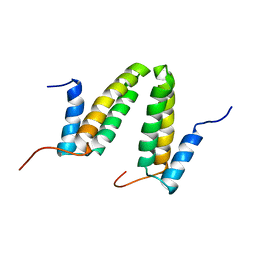 Cite: Solution NMR structure of Tubulin polymerization-promoting protein family member 3 from Homo sapiens. Cite: Solution Structure of SO0334 from Shewanella oneidensis. 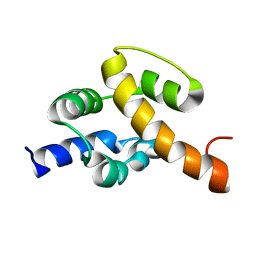 Cite: NMR Structure of the Bacillus subtilis Protein YvfG.